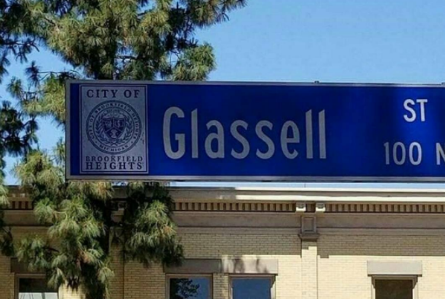 When “American Horror Story” (AHS) executive producers Brad Falchuk and Tim Minear attended the Paley Fest earlier this year, they were tight-lipped about the upcoming season of the show. 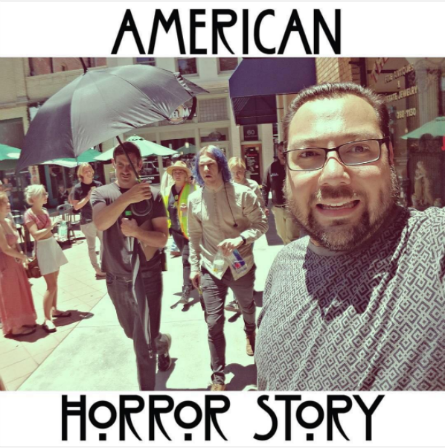 MORE on the secrecy of AMERICAN HORROR STORY Here! Fans at the Paleyfest event were already wise to the rumors that AHS season 7 might have a political stance regarding the United States Presidential election. Executive Producers still played coy while not giving-up any of the details. In February, creator and executive producer of “American Horror Story” Ryan Murphy confirmed that AHS will indeed handle the American Presidential Election, which he revealed on Andy Cohen’s “Watch What Happens Live!” The season opening is to be the next day after the election. The first two returning actors casted for the new season are Sarah Paulson and Evan Peters. So for, new-comers include: Billy Eichner, Billie Lourd, and Colton Haynes. 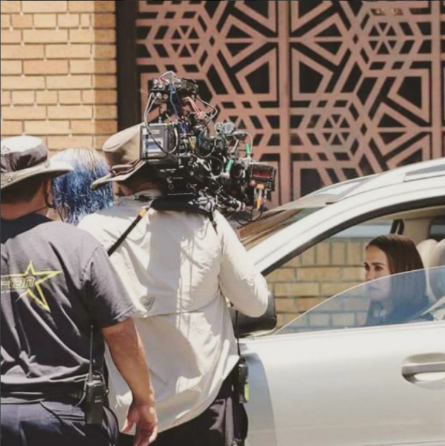 Stars that were seen on the set of AHS7 were Sarah Paulson, Evan Peters, Felicity Huffman and Alison Pill. 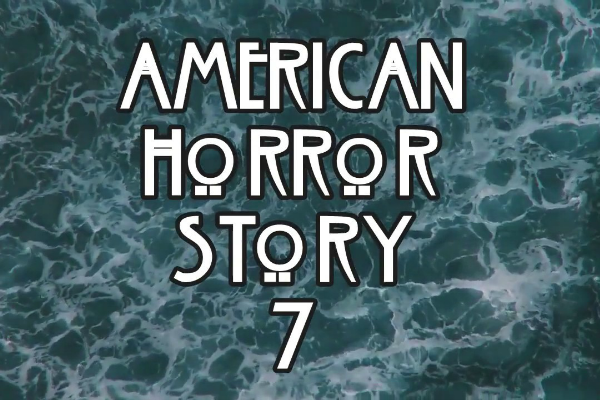 Filming has been underway for season seven of AHS in Southern California’s Orange County in the City or Orange. 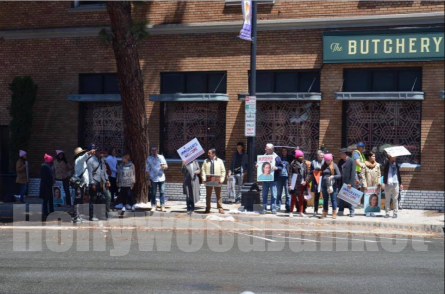 One passer-by of the filming snapped a shot at one of the set-ups of a scene (See below). It gives us vibes of the previous “American Horror Story: Roanoke” season. 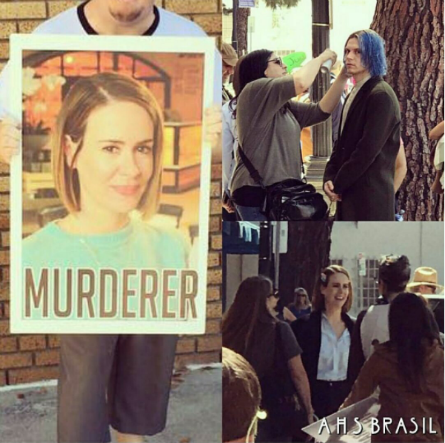 In a closer look below, an image of who appears to be AHS actress Sarah Paulson is on multiple posters in the photos. 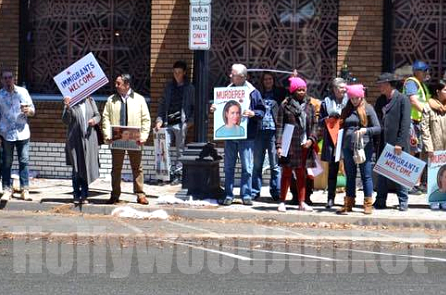 The signs in the photo read: “Immigrants Welcome”. This eludes us to believe that AHS will address the immigration hot topic. 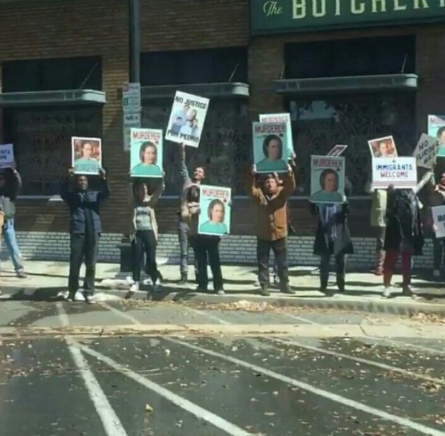 One witness of the current AHS filming stated that “fake snow” and background actors wearing Winter clothing were seen on the set outside in downtown Orange during 82 degree weather. 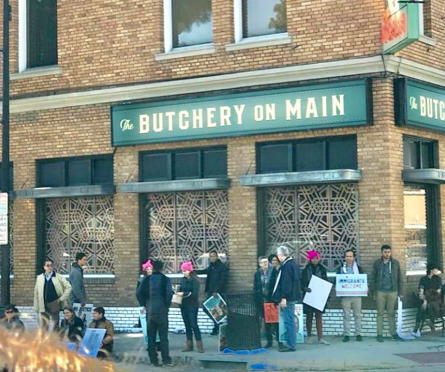 If the “Butchery” sign adorned building doesn’t look familiar to city or Orange locals, that’s because it was reported that painters were seen just before filming started busy at work on the fake Butchery sign. It was the witness’ guess that it will be a fake meat market. 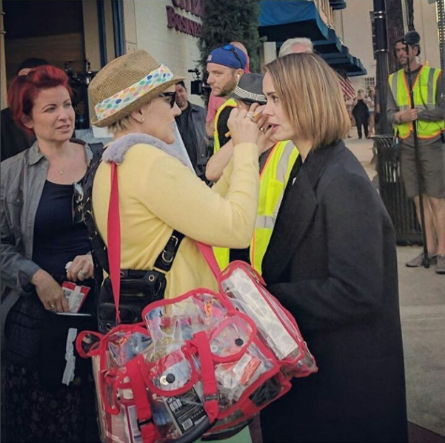 It was also reported that actress Sarah Paulson greeted fans who were watching the filming and took photos with them. 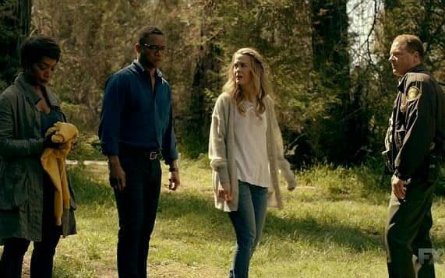 One key clue that a fan picked-up on snapped in a set photo revealed the location of where this particular scene in “American Horror Story” season 7 is to take place, and that’s in the City of Brookfield Heights, Michigan (SEE PHOTO below). This matches-up with the appearance of a chilly season where the background actors seen in the set photos are dressed in winter clothing, surrounded by fake snow. 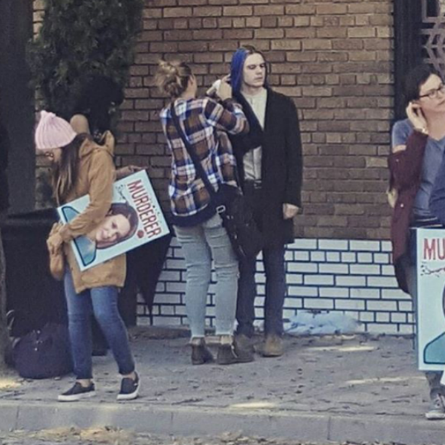 MORE AHS7 Photos Shared to Pinterest Here!